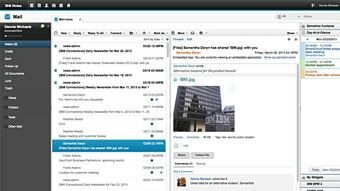 IBM iNotes (formerly IBM Lotus iNotes) is a web-based email client for IBM Notes that provides browser access to email, contacts and calendar. It includes social capabilities that give easier access to information, expertise and business applications, which helps increase productivity and improve business results. See your email, calendars and contacts directly through the browser on your mobile device, without having to install software. In addition, you can customize and organize your email. Use collaboration capabilities and social interactivity of IBM Connections-based applications directly in your client mail. See who is available for collaboration, and manage group to do items. Customize and organize your inbox by attributes such as follow-up priority and recipient indicator. You can sort, search, filter, and preview email, and take action directly from your mail messages. 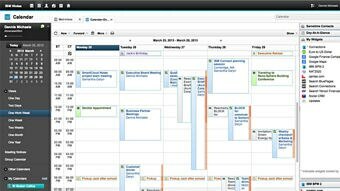 View meetings on your calendar on their scheduled dates and times, and see meeting notices in list or summary form. Check invitee schedules, reserve rooms and resources, and track invitee responses. Work in a security-rich environment to help protect business-critical information. IBM iNotes supports a variety of authentication options as well as encryption and digital signatures. Domino Messaging Client Access provides access to a full range of client software used to access Domino messaging functions.